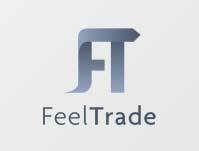 FeelTrade is a leading online forex trading platform provided for the traders who requires uninterrupted access to the global markets. With the FeelTrade broker, the traders can trade not only in spot forex but also in commodities such as gold, silver and wheat. FeelTrade is a No Dealing Desk broker and hence the traders will be allowed to trade with relaxed mind and low spreads. Some of the benefits offered to the traders by the broker here are Real time pricing, powerful trading tools and the flexible leverage. FeelTrade also provides their trader with a 30 Days Free Demo Account with which traders at entry level can just get and understand the way forex trading is actually working. Additionally a dedicated account manager is provided to each and every individual accounts to assist in any area post registration of a forex trading account. SMS signalling services are something offered by the brokers to the traders which is free of cost. Unlike other brokers, Feel Trade does not charge their customers for the services. The trading can be carried out in multiple platforms and versions like in web version, mobile version. In order to assist the novice traders in understanding the process involved here, Professional tutorials are included here. Apart from this, FeelTrade provides their traders with Real Time Market Analysis that can be used yielding more profits while executing forex trading. These ensure the traders to get benefited so that they operate in the best trading platform. FeelTrade provides the traders with two important types of trading platforms for them to pick from like MetaTrader 4, WebTrader. These platforms are also provided to the traders as mobile versions additionally for using them in their Smartphones and other mobile devices. FeelTrade provides 3 types of account to the traders to choose from. All of these might vary in the inital deposit required by the broker. Along with this, there are different levels of trading levels of the traders and FeelTrade lets traders choose one of three types of the forex trading accounts to service their needs. The brokers lend their customer with excellent service at 24/5 basis. They can easily contact support team of the brokers through multiple channels like live chat, email or telephone.